Tópico em 'Astronomia' iniciado por SpiderVV 12 Mar 2011 às 18:47. This Super Moon will occur on March 19 when it is in its closest position to the earth this year. This one happens to be a full Moon, so it is time to prepare now. Full Moons in general can cause havoc, and this one for sure will not go unnoticed by anyone. Get ready for what could be moderate to severe weather patterns, increased seismic activity, tsunamis and more volcanic eruptions than normal. This phenomenon includes the days leading up to March 19 and the days after until around March 22nd. We experienced extreme weather conditions under the last Super Moons in 1955, 1974, 1992 and 2005. Hurricane Katrina is one example which happened in 2005 under a Super Moon’s influence. The moon has such a strong gravitational pull on the earth it can control the tides and under certain conditions causes extra strong tidal patters. Apesar de na minha opinião ser apenas outro cenário que pode ser falso. temos furacões todos os anos... Como é que é? O exemplo da Super Lua em 2005, foi o Katrina..
Acho que desse artigo, o único facto científico é o de a Lua, a 19 de Março de 2011 (ou seja, daqui a poucos dias), estar no seu perigeu lunar , ou seja, irá estar no seu ponto mais próximo da Terra. Coincidentemente nesse dia teremos lua cheia, ou seja, teremos a maior lua cheia dos últimos tempos. Agora, dai a termos grandes efeitos extremos no tempo, sísmicos, vulcânicos, etc... parece-me um bocado exagerado. É certo que a Lua exerce o seu efeito gravitacional na Terra (visível nas marés), mas do que tenho lido na net, não há provas científicas que esta "Super-Lua" causará mais efeitos do que aqueles que tem normalmente. Caros colegas a Lua tem influência no tempo e se o Katrina ocorreu a mesma altura que a ultima super lua não há nada que indica que não teve a sua influência directa. A influência da lua na terra é mais que sabia e claro que pode existir fenómenos que sejam intensificados pela forças inerentes. Sempre que há uma tragédia os doomers aparecem logo a encher a Net de tralha, a relacionar qualquer tragédia com o que está à mão. Agora é a superlua, se não fosse a superlua seria o flare solar de há dias, se não fosse o flare seria a Lua cheia ou a lua que o valha, se não fosse a Lua seria um alinhamento qualquer de planetas, se não fosse um alinhamento seria do cometa xpto, se não fosse do cometa seria duma profecia qualquer, se não fosse duma profecia seria a cor das cuecas da prima. A obsessão de um doomer é inesgotável em encontrar ligações, o que não é de estranhar, a natureza deles é mesmo paranóica obsessiva, a procura permanente do abismo e da catástrofe global, o fim da civilização humana. Para não ter que discutir tudo de novo, como tantas vezes aconteceu, copio um texto recente do blogue Eruptions. I know there has long been a desire to show about the gravitational resonance of planets/comets/asteroids/the sun might play a role in Earth's geologic activity - and with some logic. We see the interaction of the Earth's surface with the Moon's gravity (and to some extent the Sun's) with the http://www.onr.navy.mil/focus/ocean/motion/tides1.htmtides in the oceans. Water has low viscosity so the tidal tugging of the moon as it rotates around the Earth sloshes the oceans back and forth to create our tides. One could imagine that the Earth's crust/mantle/core might feel some of that gravitational interaction as well - and they do. John Vidale, a seismologist at the University of Washington, http://www.space.com/11084-supermoon-earthquake-storm-natural-disasters.htmlmentions that during full and new moons - when the moon is oriented between or opposite the Earth and the sun - there is potentially as much as a 1% increase in earthquake activity worldwide (and a slightly higher effect on volcanic activity). Let me repeat that: 1%. In any natural, geologic process that is mostly distributed randomly through time like earthquakes, 1% or there about is well within the "noise" of processes, so would these alignments produce much of a discernable increase? Probably not and this is with the two bodies that play the largest role in tidal forcing on Earth. There are other studies that suggest that this tidal tugging and pulling can cause small shifts in fault systems like the San Andreas, but one might argue that the moon is, in fact, "passively" releasing seismic energy on the fault, thus preventing or delaying large earthquakes! Trying to say that any other astronomical body might, even in some specific alignment, might cause more than a 1% increase in the chance of activity is remote at best. Now, as for the Moon's relative position to Earth and its effect, the Moon when it is at least closest is 356,401 km from the Earth's surface and at its furthest, it is 406,700 km (with an average distance of 384,401 km. That is a difference of ~50,300 km ~ in other words, when the Moon is closest to Earth, it is ~12% closer than it is at its furthest. Newtonian physics tells us that the attraction between the Earth and the Moon is dictated by F = GM1M2/R2, where M1 and M2 are the masses of the Earth and Moon, G is the gravitational constant and R is the distance between the two bodies. Even a ~12% change in that value means that the force of gravity, in Newtons, only changes by ~30% at maximum (and only ~11% difference from average), a change that happens gradually as the Moon moves around its orbit. We see this fairly small change with different sized tides, but even those changes are not "disastrous". When you consider the energy needed to move tectonic plates (or even the oceans), this change in gravitational energy from the Earth-Moon system is small. Remember, that the Moon is at its closest once a month, so just because it happens during a full moon doesn't mean that the gravitational pull from the Moon is any stronger than it would be at any other perigee. Remember, the Moon reaches perigee every month and you don't see massive earthquakes and eruptions every time this happens. Some planetary bodies do see a profound effect of tidal forces. The moons of Jupiter areconstantly being tugged by the high gravity of Jupiter as the whiz around the gas giant. 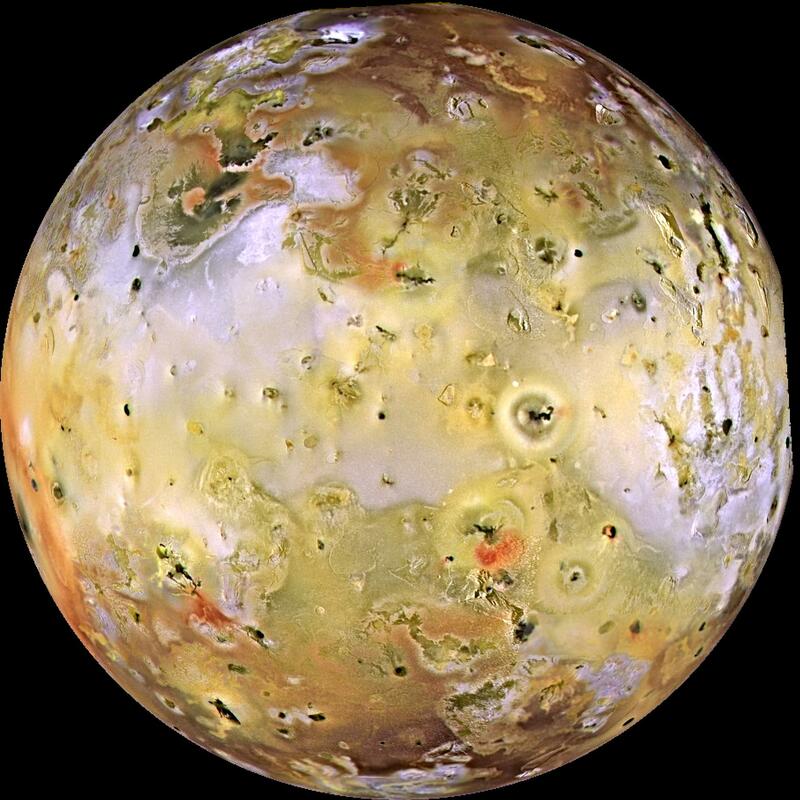 You can see that constant, frictional energy being imparted on the rocks of the moons in the relative geologic activity on the Galilean satellites - closest to Jupiter lies Io (at ~420,000 km), the most volcanically active body in the solar system. It gets tugged by a force 300% more than the Moon pulls on Earth. Next comes Europa (at ~664,000 km), where there are suggestions that liquid or slushy subsurface water exists due to tidal heating. Ganymede and Callisto, even further from Jupiter, show much fewer signs of liquid water or extensive tidal heating. The gravity of Jupiter is the direct cause for the geologicI've had a number of questions lately about a couple of events coming up this month astronomically and how they might effect geologic events - namely earthquakes and volcanoes - on Earth. I can tell you right now, without much doubt, that the answer, even before I tell you the question, is very, very little. Some planetary bodies do see a profound effect of tidal forces. The moons of Jupiter are constantly being tugged by the high gravity of Jupiter as the whiz around the gas giant. You can see that constant, frictional energy being imparted on the rocks of the moons in the relative geologic activity on the Galilean satellites - closest to Jupiter lies Io (at ~420,000 km), the most volcanically active body in the solar system. It gets tugged by a force 300% more than the Moon pulls on Earth. Next comes Europa (at ~664,000 km), where there are suggestions that liquid or slushy subsurface water exists due to tidal heating. 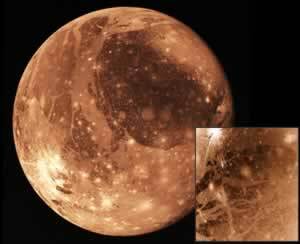 Ganymede and Callisto, even further from Jupiter, show much fewer signs of liquid water or extensive tidal heating. The gravity of Jupiter is the direct cause for the geologic activity on these small planetary bodies. As I mentioned before, this sort of "correlation" of astronomical alignments and geologic disasters have been predicted before - with results that were coincidental at best. Back in 2006, there was rampant speculation about how a full moon was going to trigger an eruption of Mayon in the Philippines … and it didn't. In a USGS article about volcanoes and the moon, they make the point that it does appear that activity at some volcanoes, like Kilauea, are effected by lunar cycles - however, this does not mean that an eruption at any specific volcano worldwide can be predicted using lunar cycles. There are just too many other variables, so unless the volcano is already erupting, such as Kilauea (see above from an eruption that didn't start on a new/full moon), don't expect the Moon to bring volcanoes to life. Even if the volcano is predisposed to be close to eruption (and even defining that is difficult), there is no data to support this (to borrow a quote from a paper that Chris Rowan's uses in a post on the subject): "We found no conclusive evidence for a general correlation between volcanic activity and lunar tidal phase. This result is consistent with recent work which indicates that diurnal and fortnightly tidal stresses may be too short-lived and strain rates too high to effect a significant viscous response in partially molten regions of the Earth’s subsurface." (Mason et al., 2004). During this Mayon hype in 2006, Phil Plait also took on these predictions and points out the biggest flaw with many of these "correlations": "It’s small number statistics, like flipping a coin three times and having it come up heads each time. It’s rare, but it does happen on average one out of every eight times. You need bigger samples to get good statistics." Science requires data that can show a valid correlation, not picking what fits best to your ideas. UPDATE: Phil takes on the "Supermoon" as well. If anything, we should be concentrating on terrestrial forcing for "predicting" earthquakes. It could be that changes in the stregth of the Earth's magnetic field, due to the thickness and composition of the Earth, but might help find earthquake-prone locations. A study in Science by Song and Simons from 2003 examined the gravity anomaly (how much the gravitational field from the Earth varies from the norm) along a subduction and then compared it to a long historical record of seismicity. It found that "within a given subduction zone, areas with negative gravity anomalies correlated with increased large earthquake activity. Areas with relatively high gravity anomalies experienced fewer large earthquakes." However, how we can use the changes in gravity anomaly to predict earthquakes is still very unclear. * The Moon plays a very small role in increasing seismicity and volcanic activity on Earth - potentially increasing activity ~1% during full/new moons. * The change in the gravitational pull from the Moon during apogee and perigee is small. * Beyond this, there is no statistically-sound evidence that geologic disasters can be predicted based on lunar alignments or distance (or any other astronomical phenomena). * The keys to understanding how to predict earthquakes or eruptions (if at all possible) lie within the Earth, not deep in space. * From Chris Rowan: "The moon does not magically load up plate boundary faults or fill magma chambers ... The most the moon can do is slightly alter the timing of an earthquake or eruption that was on the verge of happening anyway." Knight, não quero dar a ignição a nenhuma discussão, mas isto é ridículo. Apresente provas de como a Lua exerceu influência no Katrina, que talvez pondere acreditar. E deixem de chamar a isto uma super-Lua, é uma nova escala para Luas, é? A Lua na minha concepção tem sempre o mesmo tamanho, não é? A maré tem como causa a atracção gravitacional do Sol e da Lua. A influência da Lua é bastante superior, pois embora a sua massa seja muito menor que a do Sol, esse facto é compensado pela menor distância à Terra. Matematicamente a maré é uma soma de sinusóides (ondas constituintes) cuja periodicidade é conhecida e depende exclusivamente de factores astronómicos. De um modo geral, podemos dizer que a maré sobe quando das passagens meridianas superior e inferior da Lua. Isto é, temos preia-mar (maré cheia) quando a Lua passa por cima de nós e quando a Lua passa por baixo de nós, ou seja, por cima dos nossos antípodas. As preia-mares sucedem-se assim, regularmente, com um intervalo médio de meio-dia lunar (aprox. 12h 25m) o que corresponde matematicamente à constituinte lunar semi-diurna (M2); tal facto é expresso pelo povo que refere que “a maré, no dia seguinte, é uma hora mais tarde” (na realidade aprox. 50m mais tarde). Por sua vez, o intervalo de tempo entre uma preia-mar e a baixa-mar seguinte é, em média, 6 h 13 m. No entanto, o mar não reage instantaneamente à passagem da Lua, havendo, para cada local, um atraso maior ou menor das preia-mares e baixa-mares. O intervalo de tempo entre a passagem meridiana da Lua e a preia-mar seguinte é o chamado "lunitidal interval" (em rigor, "high water lunitidal interval"). Actualmente, já estão a ser comercializados relógios em que esse valor é pedido, para que eles possam fornecer uma previsão grosseira da maré. Embora esse valor seja variável ao longo do tempo, em termos médios esse atraso é cerca de 2 horas em Portugal Continental e inferior a 30 minutos na Madeira e nos Açores. Outro aspecto importante a ter em conta é o fenómeno quinzenal da alternância entre marés vivas e marés mortas; este fenómeno, matematicamente explicado pela constituinte S2 (solar semi-diurna), decorre do efeito do sol como elemento "perturbador". Com efeito, quando o Sol e a Lua estão em oposição (Lua cheia) ou conjunção (Lua nova), a influência do Sol reforça a da Lua e ocorrem as marés vivas (matematicamente as constituintes somam-se). Por outro lado, quando o Sol e a Lua estão em quadratura (Quarto crescente e Quarto minguante), a influência do Sol contraria a da Lua e ocorrem as marés mortas (matematicamente as constituintes subtraem-se). A figura que se segue apresenta a evolução da maré em Aveiro ao longo de doze dias, mostrando claramente a diferença de amplitudes entre marés vivas e marés mortas. A seguir à Lua Cheia e ao Quarto Minguante ocorrem, respectivamente, águas vivas e águas mortas. Regra geral, as amplitudes de marés vivas em Portugal Continental são cerca de 1,5 m. Isto é, o mar sobe e desce 1,5m em relação ao nível médio. Em marés mortas, a amplitude da maré é da ordem dos 70 cm. Na Madeira temos uma amplitude de 1 metro em marés vivas e 50 cm em marés mortas; nos Açores temos 70 cm em marés vivas e 30 cm em marés mortas. Estes valores ilustram um facto conhecido: a amplitude da maré diminui quando nos afastamos da costa. Com efeito, sabe-se que a maré se torna praticamente nula nas zonas centrais das grandes bacias oceânicas. A amplitude das marés vivas é ainda maior por ocasião dos equinócios (marés vivas equinociais). Tal facto é matematicamente explicado pela introdução de uma terceira constituinte (K2) que, perto dos equinócios, reforça o efeito do Sol. Tal como já foi referido, os oceanos não reagem instantaneamente às influências astronómicas havendo aqui também, para cada local, um atraso de resposta. Neste caso, esse atraso chama-se, em termos médios, idade da Maré. De modo muito grosseiro, pode dizer-se que a maré viva ocorre no dia seguinte à Lua Nova ou Lua Cheia. Até agora falou-se de apenas três constituintes. Na realidade a maré tem ainda muitas outras constituintes que representam matematicamente outras irregularidades astronómicas associadas com os dois astros. O programa de previsão de marés utilizado no IH permite o uso de 62 constituintes. Convém por último referir que o nível da água do mar depende ainda de outros factores que não a maré astronómica, tais como a pressão atmosférica, ventos e a agitação marítima. A pressão atmosférica é o mais importante dos factores não astronómicos que influenciam a subida e descida do nível do mar; com efeito, as baixas pressões produzem um aumento do nível das águas e, inversamente, as altas pressões estão associadas a uma descida do nível do mar. É a força magnética que influencia as marés e outras coisas e não a própria Lua em si.